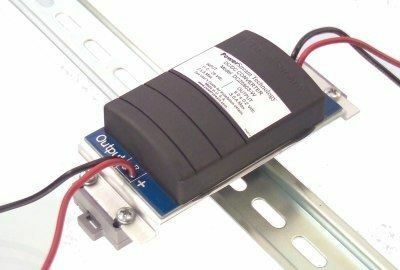 These are regulated switching power converters (switchmode), designed to allow the use of 5 volt equipment in 12V or 24V vehicles. 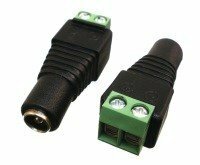 These 5V output regulators have been designed to be very rugged electrically and can be operated continuously at 75°C (65°C for the 5A version). These are also known as 5 volt voltage reducers, and voltage regulators. Common ground, the negative input is tied to the negative output. The frame is isolated. If there is a short circuit connection or other overload connection is sensed, the unit will automatically limit the output current and, depending on severity, will go into a hiccup mode. See Note 2. If an extreme over temperature condition occurs the unit will shut down until the temperature is reduced. See Note 3. If an in-line 4A fast acting fuse (5A for the 5A model) is connected as shown in Figure 2, then the unit will be protected from reverse polarity connection. If the fuse is used and there is a reverse polarity connection, the fuse will blow and protect the unit from damage. See Note 4. Pinout There are two screw terminals on the input, and two screw terminals on the output. 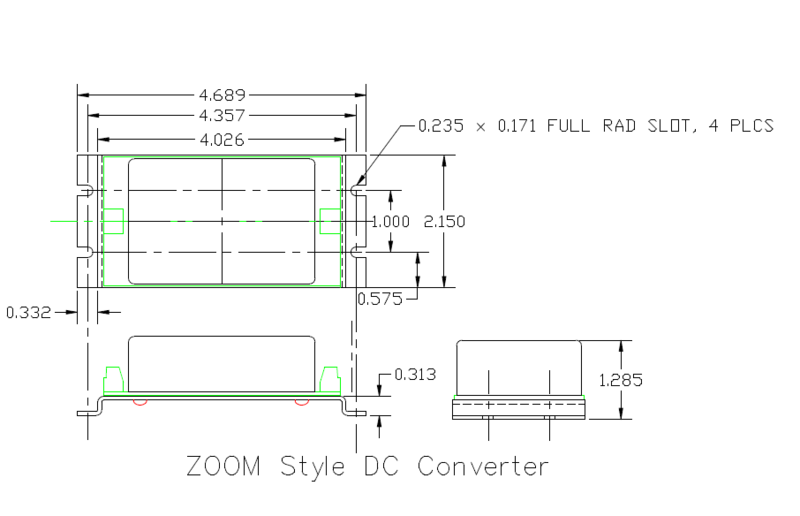 These are on opposite sides of the converter. 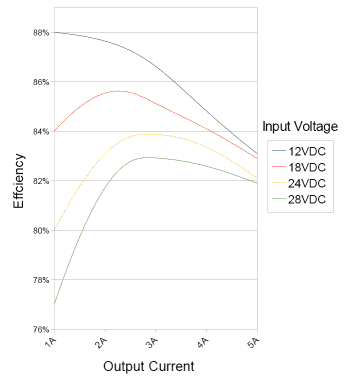 Note 1: Extended operation at voltages less than 8.0 VDC is not recommended although the unit will work at voltages lower than this with reduced load regulation. 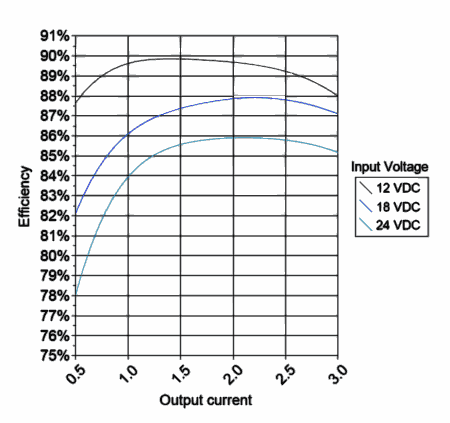 With voltages lower than 7.0 VDC, output voltage will drop out until the voltage is increased. Note 2: If an overload is sensed, the unit will automatically limit the output current and reduce the output voltage. If the output voltage is excessively reduced to limit current, the unit will go into a hiccup mode and wait until the overload is removed to restore power. 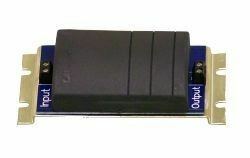 This dual-mode overload protection system allows the unit to be protected from continuous short circuit connection and other overload conditions. Note 3: Extended operation at temperatures above 75°C can damage the unit and will void the warranty. 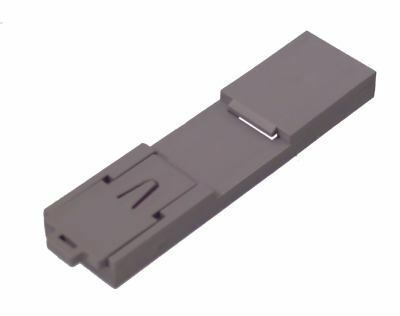 Note 4: If the in-line 4A fast-acting fuse is not connected as shown in Figure 2, a reverse polarity connection can damage the unit and will void the warranty. 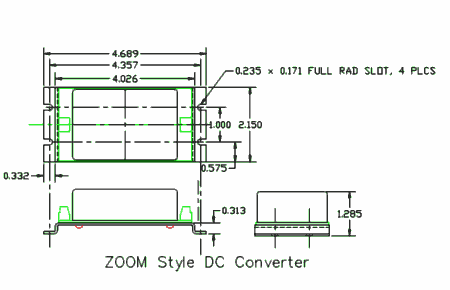 Optional mounting hardware for 35mm or 15mm DIN rails. Rail not included.